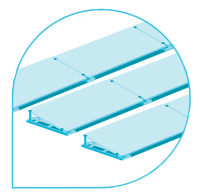 With only few components required for the installation, EASY ROOF FLAT is unparally fast and economical regardless of the roof covering (bitumen membrane, concrete, gravel) and can be installed equally South or East/West. 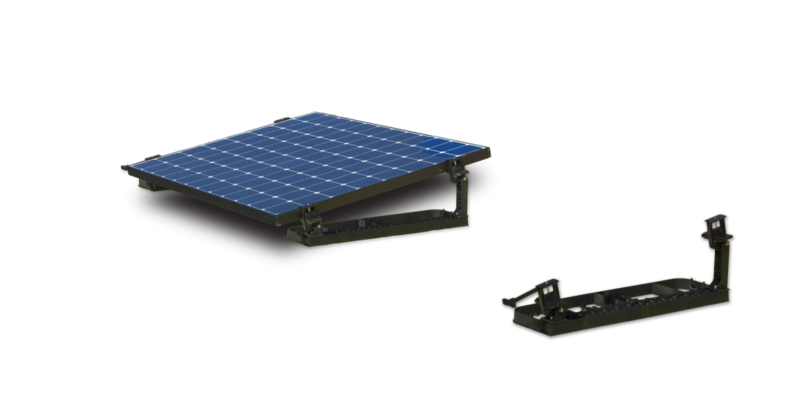 Lightweight and robust for enormous stability, each chassis includes all the components required to fix the modules. 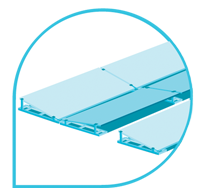 To make transportation competitive, EASY ROOF FLAT chassis can be fitted on the top of each other. 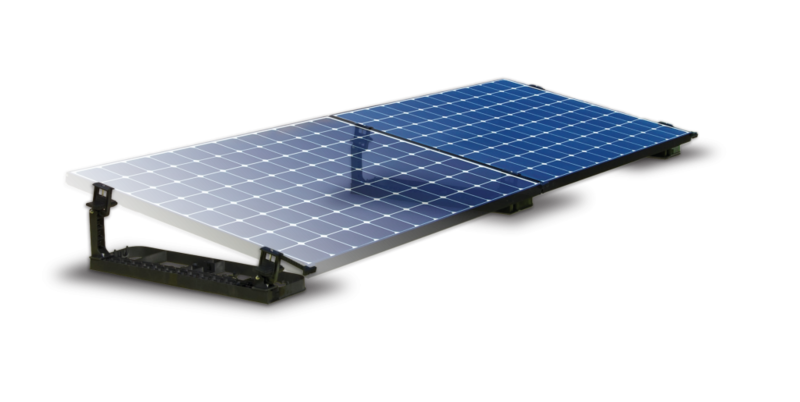 EASY ROOF FLAT chassis can be stacked (1 chassis per PV module, up to 250 kits can be attacked on one single pallet). Methods of fixing by ballasting, thermowelding(1), substructure with rails, screw hanger bolts. 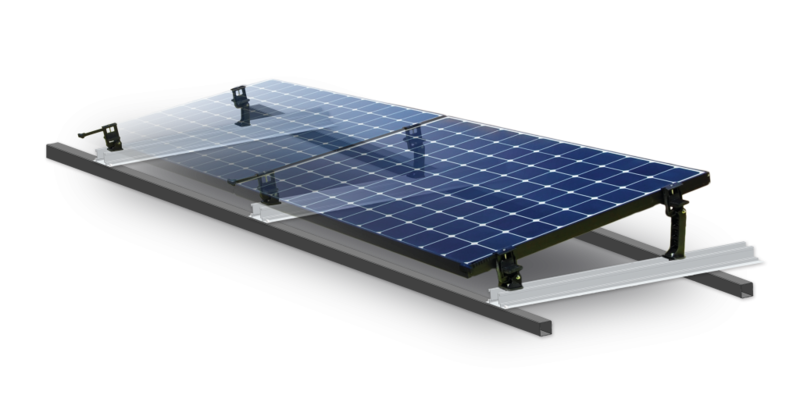 Compatible with framed PV modules with a width up to 1100 mm(2). An installation and a storage optimized ! (2) Subject to technical validation.